1. Before you proceed, please make sure you activated your subscription. 2. Navigate to ManyCam menu ⇒ Settings/Preferences ⇒ Video and enable the resolutions you require. 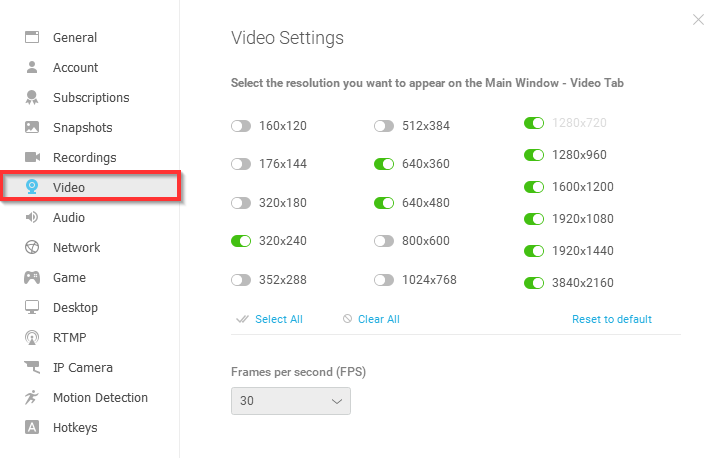 Most common resolutions for streaming are 720p and 1080p. When enabled, these resolutions will appear in ManyCam Video tab.